As the time goes, Google is able to make sense of more information as known objects, or entities, not “just” as keywords. 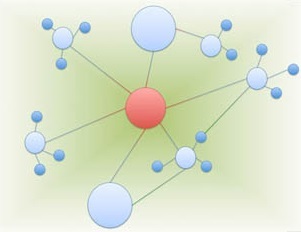 It introduced the “Knowledge Graph” back in 2012 and keeps accumulating recognizable words and phrases in the search, to which it can respond in an intelligent manner, understanding its meaning, semantically. Google is implementing a very reasonable solution to introducing the entities it is able to recognize in the search results: it shows this information in addition to the search results. Check out this search, for example: semantics – and you will see the definition of the term, not just keyword-based results. While we can’t expect to paste a page-long description of the target professionals we are sourcing for and get their online profiles as the search results (so we should feel safe about keeping our jobs for now! ), we do need to learn more about the Knowledge Graph, at least to make sense of what Google search shows. It may be time to start looking things up on Google, such as terms and company names, relying on its knowledge of entities, in Sourcing as well. 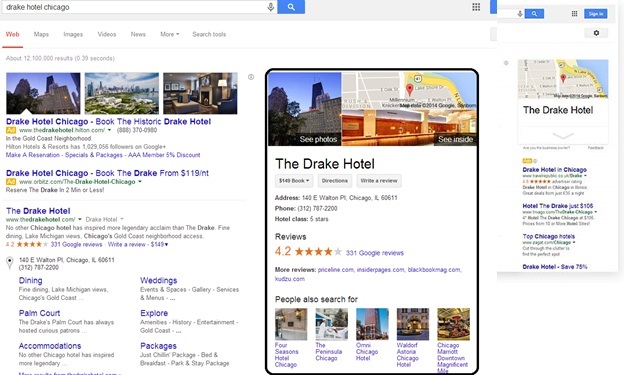 You can see that Google displays the data about the recognized object – the said hotel – on the right; the search results for the search string are shown “as usual” in the column on the left. Google is in the process of accumulating data to help to recognize many, many “entitles” and relationships between them. We may not know what is recognized at every specific point in time; but we should certainly keep an eye on the possible semantic/Knowledge Graph searches and start thinking about using it is sourcing. and perhaps explore this as well: example knowledge graph search results.